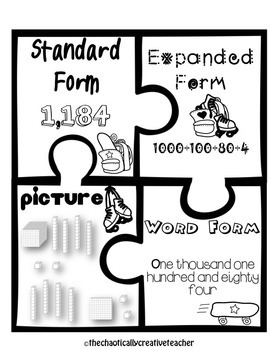 Looking for a way to actively engage and asses your students on place value? This packet does just that! 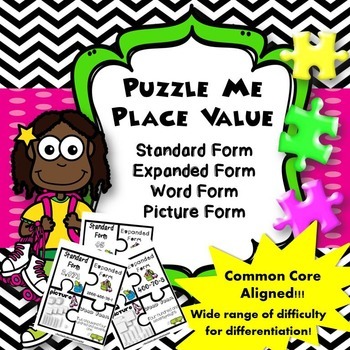 Use this Puzzle Me activity as a center, collaborative group assignment, or in a small group. 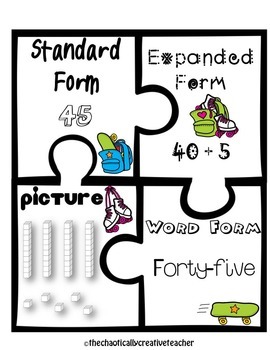 This was designed for students to match the correct puzzle pieces together. The numbers range from 2 digits to 4 digits numbers. The four digit number puzzle pieces can be a great challenge for your higher students while the two digit numbers can be great remediation for your low leveled learners. The puzzle pieces are big, but can be modified by printing 2 pages on one. Give your students a hint--->each set of puzzle pieces includes one backpack with a skateboard, one backpack with roller skates, one pair of roller skates, and a skateboard.